What will you do if somebody left you in the hall 50 meters long and 15 meters wide held up without any external support? You might choke up at the obvious thought of its collapse. 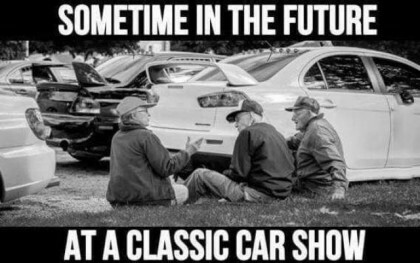 But don’t worry, nothing like this going to happen. 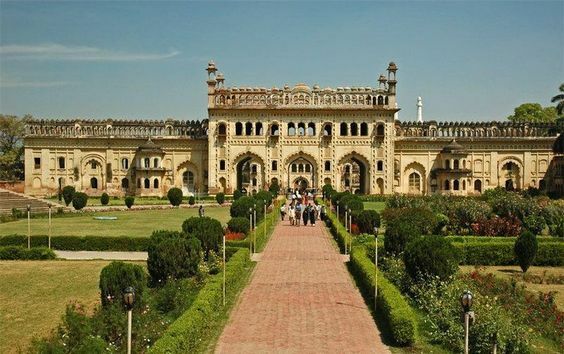 Well, you can call it wonder or supremacy of human architectural art, the Bara Imambara, the gravity defying palace at Lucknow is a marvel in it that has been erected without any external support. The main hall was exclusively constructed in interlocked brickworks and is famous for its architecture. 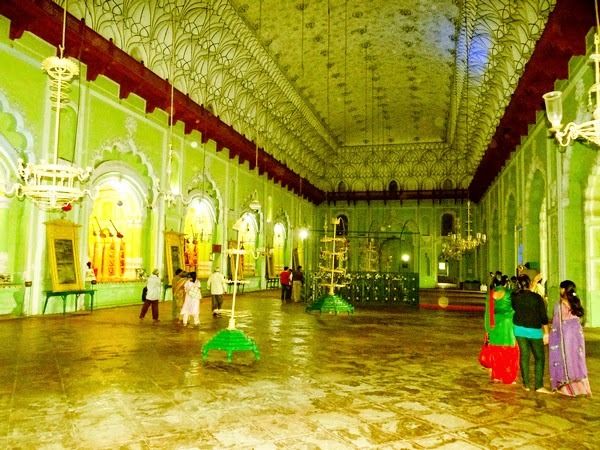 Built in 1784 by the fourth Nawab, Barak Imambara Asaf-ud-Daula it is a blend of Arabic and European Architecture. You must be surprised to know that India is the home to the world’s only floating lake. 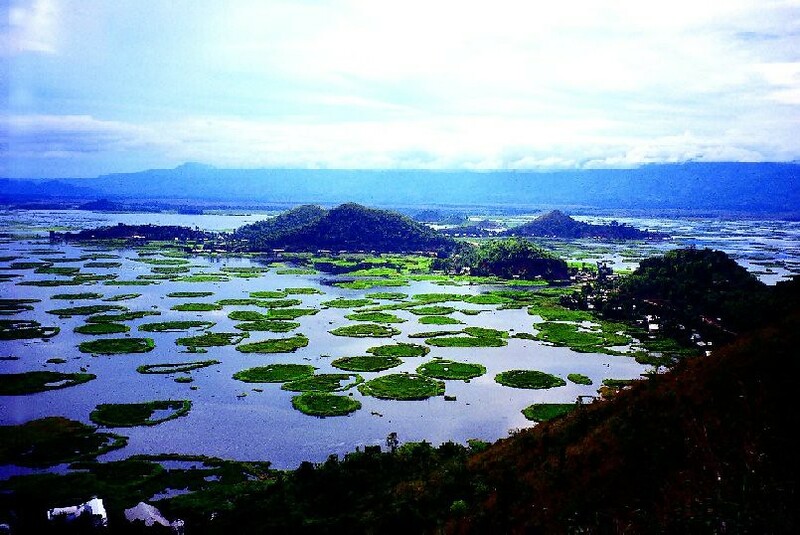 As a mother, Loktak Lake gives shelter to a plethora of flora and fauna to thrive on its bed which appears like floating over it. These floating masses of plants and organic matter in various stages of decomposition are called Phumdis. Spreading across the sprawling 40 km, Keibul Lamjao is largest of all the Phumdis & is the only national park in the world that floats over it. 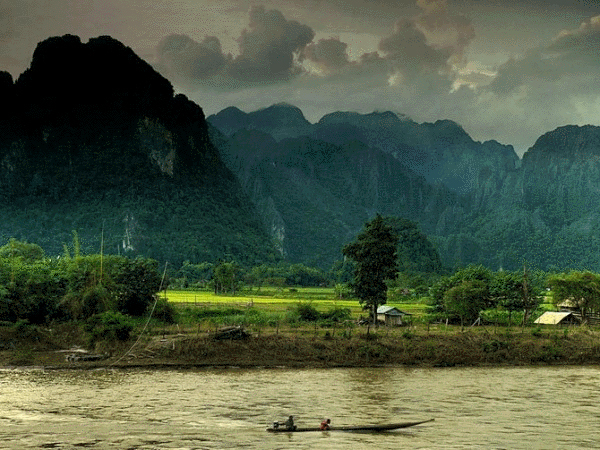 Home to the endangered Shanghai or Manipur brow antlered deer, one of the subspecies of the Eld’s deer, it is situated in the south-eastern shore of the lake. These floating Phumdis produced such a spell bounded sight that will dazzle your eyes. Guarded by the two Himalayan peaks Trishul and Nanda Gunti, RoopKund Lake remains inaccessible for most of years, but it is one of the most beautiful lake trek with notorious past. 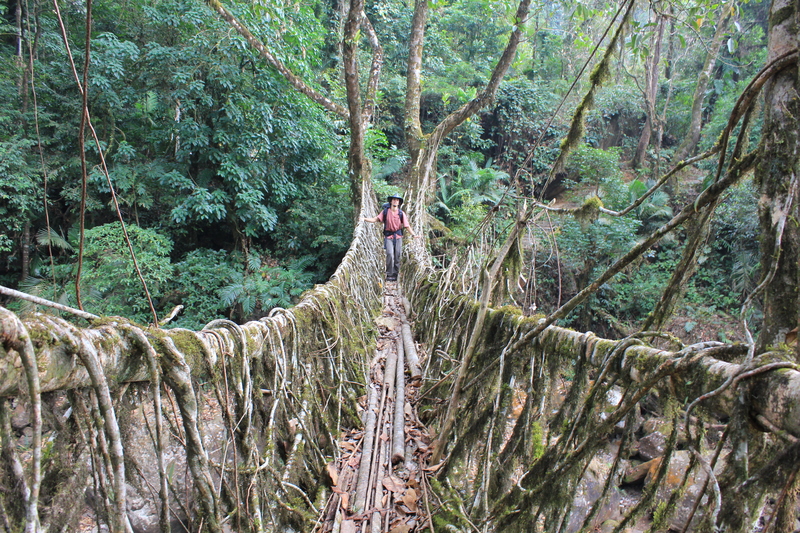 There are no roads to this place yet, so one has to undertake a 3-4 day trek to reach the skeleton lake starting from Gwaldum in Chamoli district. The skeleton lake is covered with ice for most of the time during the year. 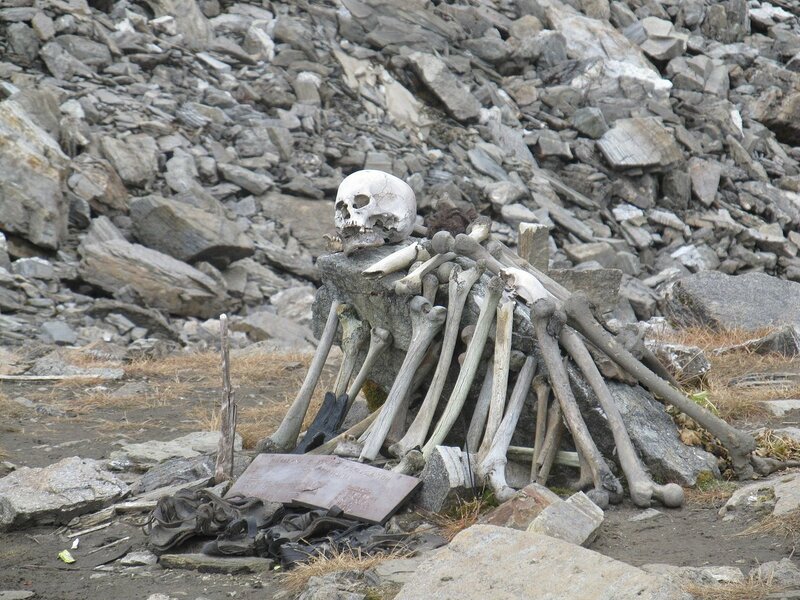 Roopkund lake caught the attention of the whole world when a ranger of Nanda Devi Game Reserve, H K Madhwal discovered human skeleton remains, floating in the water and lying haphazardly around the lake’s in the base of the lake when the snow melted. However, this was not the first time that reports of such recovery became public. In 1942 a British forest guard in Roopkund, India made an alarming discovery. Some 16,000 feet above sea level, at the bottom of a small valley, was a frozen lake absolutely full of skeletons. This lake remains frozen all the year round except in the autumn when the snow melts and the base of the lake becomes visible. One can see the skeletons, artifacts made of wood, different arms like spearheads, rings and many other things. Trapped in the valley with nowhere to hide or seek shelter, the “hard as iron” cricket ball-sized [about 23 centimeter/9 inches diameter] hailstones came by the thousands, resulting in the travelers’ bizarre sudden death. The remains lay in the lake for 1,200 years until their discovery. Snuggled amongst the Borai hills of Assam, Jatinga a quaint village in Dima Hasao District is famous for the Bird Suicide Mystery. Commonly known as Death Valley for Birds, in every monsoon between September and October, this idyllic village, witness an unusual uncanny phenomenon of Mass bird Suicide. Though scientifically it can be said that birds do not commit suicide, still there are certain facts which remain unanswered even today. 1. When the villages try to attack these birds with stones and catapults as they come nearer to the lights, why don’t they move away or put up any resistance to protect themselves? 2. Why this extraordinary activity takes place only in that well-defined 1.5 km long stretch and not anywhere else? 3. Why do the birds come only from the North to die? Villagers have pointed out that the search lights placed in the southern part of the Jatinga village have failed to attract any birds. 4. Due to heavy floods and monsoons, the birds lose their natural habitats. So they try to migrate to other areas and while doing so they cross over Jatinga migratory path. But it is still not clear as to why the birds fly only at night and not during the day? 5. Why the birds get deliberately or voluntarily trapped in this path every year? 6. No doubt, in the presence of fog and mist, the birds find it difficult to see and they move towards those areas or objects where they see light. But why does it take place only at Jatinga? 7. It is a known fact that as soon as the sun sets, the birds get back to their nests and sleep. Why should these birds then fly at night? Thus, there are many questions that still need scientific research from various angles. While it is matter of concern that thousands of birds are dying here, there is no doubt that Jatinga has become a well-known tourist spot of the country. 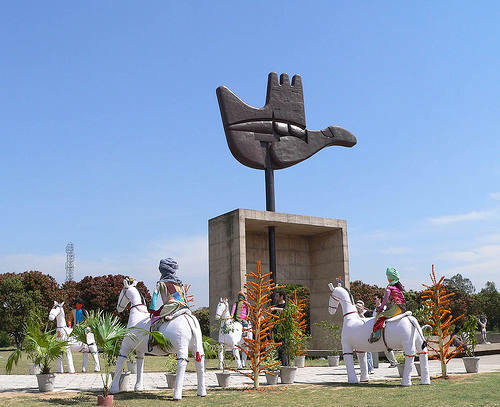 In fact, for tourism development and promotion, the state government had organised the first “Jatinga Festival” in 2010. The word ‘Mayong’ comes from the Sanskrit word for illusion, Maya. and this little place near Guwahati city in Eastern India has many tales of men disappearing into thin air, people being converted into animals, or beasts being magically tamed. It is said that sorcery and magic were traditionally practised here in ancient days and passed down over generations. Many ancient relics of Ayurveda and black magic are now preserved in the Mayong Central Museum. Bits of history ranging from the Mahabharata, where it is believed that the then king of the region, Ghatotkatch participated in the battle with his magical powers to the times of the Mughals, whose tales are full of the unseemingly limitless powers of sorcery of this area – Mayong’s reputation precedes itself. Owls are trapped and traded illegally in India because they are of great importance in many superstitious beliefs. Thus, these cute birds are used in black magic and sorcery. Referred to as ‘tantriks’, the black magic practitioners use owls and their various body parts in rituals and sacred ceremonies. Body parts prescribed by a shaman (or tantrik) are the skull, bones, blood, claws, eyes, beak, liver, kidney, meat and eggshells. Some owl species with false “ear tufts” are supposed to bestow great magical powers and are therefore in great demand. The darkest time for owls in India is between mid-October and mid-November. This is the period when the great festival Diwali is celebrated and more owls disappear than at any other time. In this festival, the goddess of wealth and wisdom, Laxmi, is worshiped. The owl is regarded as the vehicle of Laxmi. Because owls are associated with wealth, the animals are sacrificed that day in the misguided belief that it will bring good luck, wealth and wisdom. The way this innocent wild animal is plundered to feed ignorant superstition is totally unacceptable. Based on religious superstition,they hunt owls or sacrifice them as the totems of clairvoyants and mystics. Besides witchcraft and sorcery, this area is also a tourist heaven for its rich wildlife – especially the one-horned rhino and its archaeology pilgrimage which can excite even the most casual of history buffs. The museum, proudly considered the first-of-its-kind in India, is housed in the basement of the National Institute of Mental Health and Neuro Sciences (NIMHANS). It displays over 300 samples of human brains of various sizes preserved in jars, collected from donors and victims of road accidents. Each brain here has its own story — some were damaged in an accident, others were infested with parasites. There are also rat and duck brains there to compare with the human brain. In addition, visitors are even offered to hold a real brain in their hands and to touch and feel a spinal cord and other parenchymal organs that are displayed in the museum. Now, here’s something that is morbid and fascinating at the same time. The New Lucky Restaurant has an ambiance to kill for. This coffee house is built on a centuries-old Muslim cemetery. 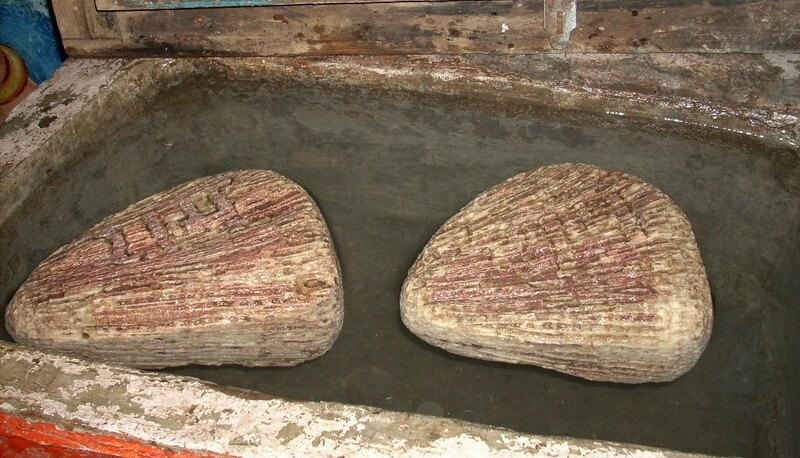 The graves lie between the tables, and are said to belong to a 16th CE Sufi saint. 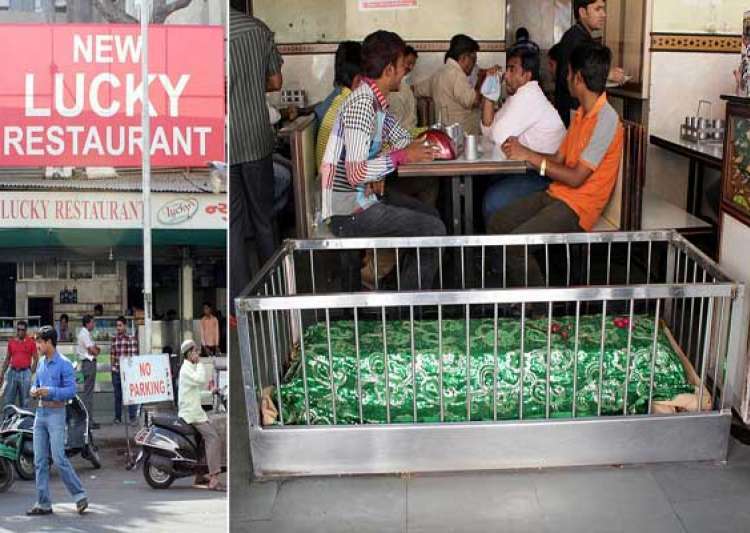 The restaurant is always bustling with guests and the owner says that the graves are his lucky mascots. Talakad or Talakadu as it is commonly called, a desert-like town situated on the left banks of the Kaveri river –right where the river takes a sharp turn. Situated at the bank of River Kaveri, Karnataka, Talakad is one such historical site that has an interesting tale associated with it. It is believed that this land is cursed by a widow, who was a great devotee of Lord Shiva. Therefore, this once fertile land of Talakad is now an arid region. Further, there was a time when it had around 30 temples, but presently they all are buried under the sand. Playing with magnets and attracting iron chunks is an activity that we all love to do in childhood, but what if suddenly your vehicle rolls up a steep mountain, with its ignition off. Definitely, your first reaction would be ‘Are you a nuts’? How could it be possible? 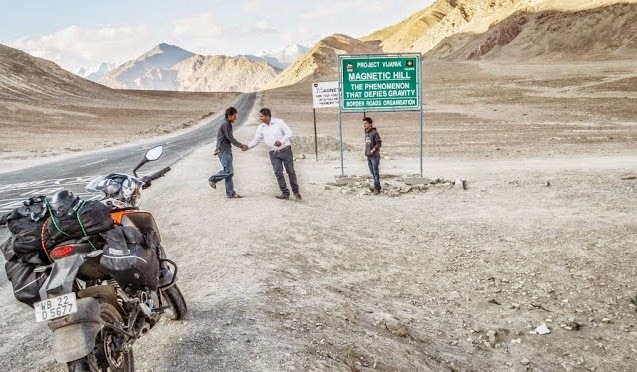 Well, this magnetic magic can be experienced while traveling to Leh-Ladhak, around 360 KM from Jammu. Known as Magnetic Hill, visiting here would be a thrilling experience, but actually it is just an optical illusion caused by gravity hill that gives an illusion of gear off vehicle moving up. Located at an altitude of almost 3000 meters, Gue is a small village in the Spiti district of Himachal where lays India’s only known naturally preserved 500 year-old mummy of Buddhist monk Sangha Tenzin, from Tibet. The monk had undergone mummification when he was still alive, which was very complex and painful process. It was recovered in sitting position with hair and skin intact. 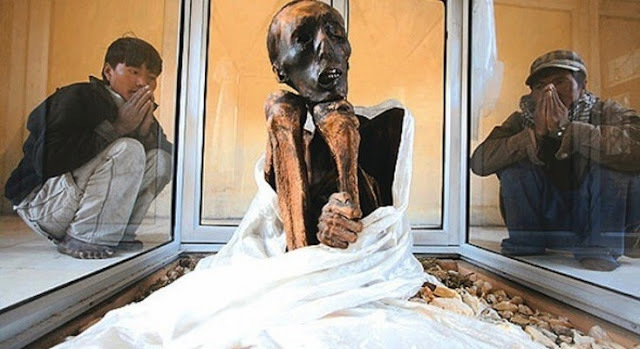 It is said that the locals knew about the mummy since 1975 when an earthquake struck the region and brought down the part of the tomb lying. Well nothing much is known about the origin of the mummy except the local anecdote and hearsays. Mummy is kept in a temple perched on the hilltop at the end of the village. The famous Indian State, Tamil Nadu has a popular tourist attraction of Mahabalipuram which attracts worldwide tourists with an unexplained mystery of ‘Balancing Rock’. In local language this rock is pronounced as “Vaanirai Kal” which literally means “Stone of The Sky God”. 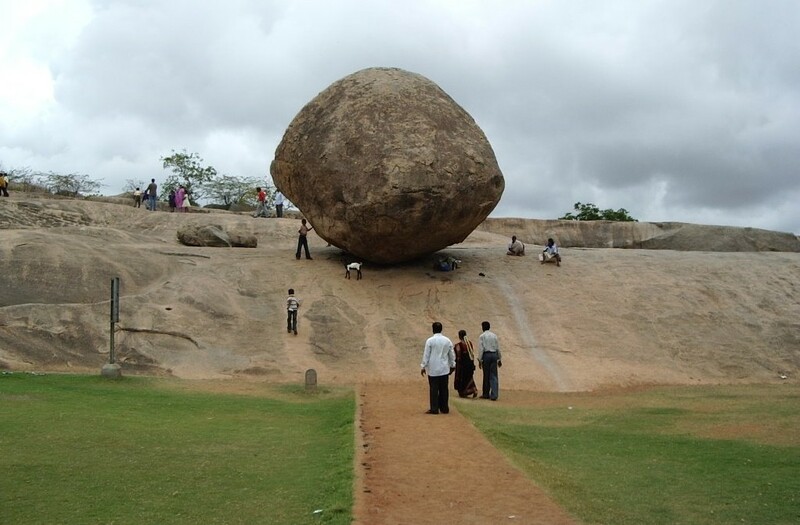 Here this huge rock of around 250 tons shows a magical balancing act without any support. The famous Hindu mythological epic, Ramayana beautifully explains the linking between India (Rameshwaram) and Sri Lanka (Mannar Island) in a form of Adam’s bridge across Palk Strait. But, behind this more than 17 million past construction there is a mythological twist. According to which, it is a manmade bridge made up of floating stones constructed by Lord Rama and his ape army, to bring back Lordess Sita. Even it is scientifically proved that such Floating Stones (of 40 chemicals) have similar composition as that of normal ones. But, nobody could be able to find out its floating reason and it still remains a part of the mystery. India is a land of wonders, in which Veerabhadra Temple has one of the popular name due to its ‘Hanging Pillar’. The Lepakshi Temple located in the Ananthpur district of Andhra Pradesh, is devoted to Lord Veerabhadra (one of the incarnations of Lord Shiva). The surprising fact about this shrine is its architectural phenomenon. The entire temple structure is standing on just one single pillar! Top of all, even that pillar is standing with air as the base. The town has an ancient temple atop a small tortoise shaped hill. Built in 16th century in the typical style of Vijayanagara architecture, the temple features many exquisite sculptures of god, goddesses, dancers and musicians, and hundreds of paintings all over the walls, columns and ceiling depicting stories from the epics of the Mahabharata, the Ramayana, and the Puranas. This includes a 24 feet by 14 feet fresco of Veerabhadra, the fiery god created by Shiva, on the ceiling, which is the largest fresco of any single figure in India. At the front of the temple is a large Nandi (bull), the mount of Shiva, which is carved from a single block of stone, and is said to be one of the largest of its type in the world and 70 pillars. But, one of such 70 pillars is a hanging pillar which doesn’t have contact with the ground and generated great curiosity. Kodinhi, a sleepy little town tucked away in the Malappuram district of Kerala, has managed to baffle scientists across the world. Medical mystery,in a population of 2000, Kodinhi has 350 pairs of identical twins! It has rightfully earned the title of ‘Twin Town.’ 6 pairs of twins in every 1000 births is considered a high twinning rate. Kodinhi has a rate of 42 twins per 1000 births. This means, almost every family in Kodinhi has more than one pair of twins! What if one day you have to host a snake as a guest? Well, it may sound bizarre and send shivers down your spine, but every house in Shetpal, in Sholapur district of Maharashtra welcomes this unusual and strange guest. Each house in this village has a resting place for dangerous Cobra snakes in the wooden rafters of their ceilings to protect them. These Cobras for villagers are the personification of reverence and respect to lord Shiva and roam freely in the houses. 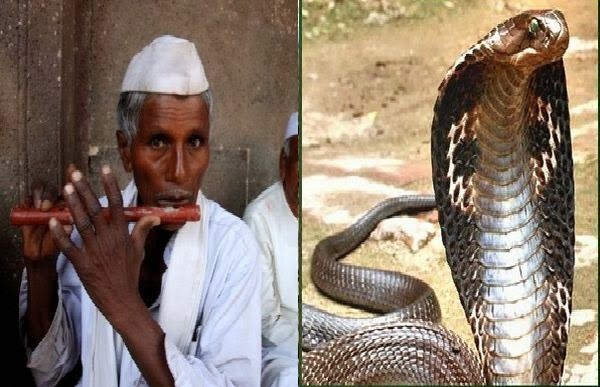 Till now, not even a single case of snake bite ever reported from this village. Strange, But true – an amazing blend of believe and custom. The Rock Garden sprawling over 64 acres is a strange but unique garden- an artists dream, build by one man’s effort, love, ingenuity and skill. 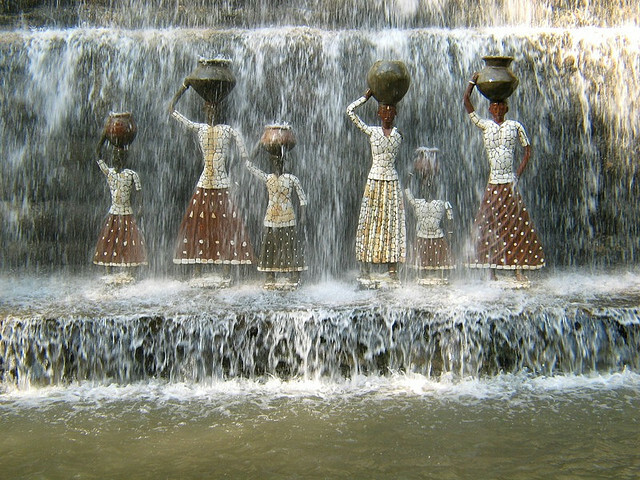 Nek Chand who was an ordinary public works department employee of the Chandigarh administration, conceived the idea of the garden as a solution to the disposal of city waste and domestic garbage. There are no flowers or plants in this garden. As if the dark and murky swamps of Bengal aren’t scary enough, there is also a danger alert in a line of paranormal activities. There have been whispers that along with the regular marsh beings, there are also mysterious Aleya Ghost Lights that lurk about. Seducing travellers to their doom, they are said to zoom by float above the land. 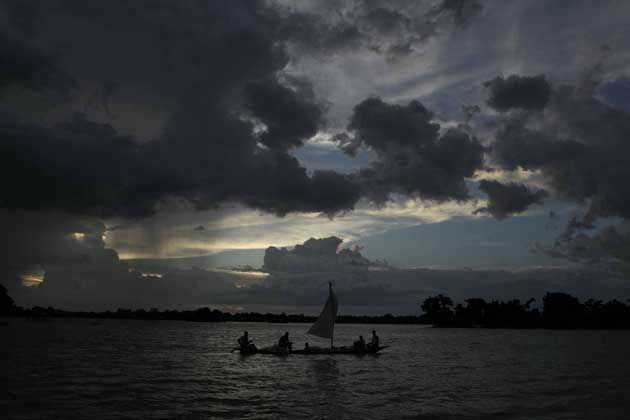 The swamps and marshes of Bengal have long been haunted by mysterious lights floating around in the darkness. 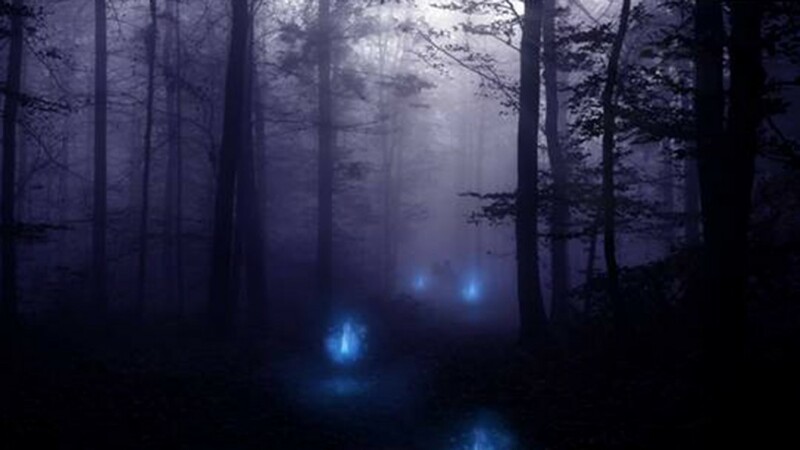 These lights are known as the Aleya Ghost Lights. Despite their typical Bengali name, these ghost lights are not really limited to Bengal. They have been spotted in several other places like the UK, Finland, Estonia, Latvia, and others. Similar lights have been spotted in North America, South America, and Australia. Lonar is a small, unremarkable village in Maharashtra, which at first glance, looks like an insignificant enough place to be ignored by the higher powers of both Science and God. But well, the universe works in mysterious ways. Around 60,000 years ago, this area, which now falls in the Buldhana district of Maharashtra, played host to a visitor from outer space – a blazing meteorite! A massive meteorite or comet, 60 meters long and weighing 2 million ton, was racing at a speed of 90,00 kms per hour towards Earth and when it struck the ground, the energy released by the hypervelocity impact was equivalent to that of six-megaton atom bombs! And the result of that impact was the Lonar crater, measuring 1.8 kilometers long and 150 meters deep, the only hypervelocity natural impact crater in basaltic rock in the world! And at the bottom of it is a highly alkaline and saline lake, which is touted to be the third largest natural salt-water lake in the world, fed by the waters from three perennial springs, the source of which is said to be unknown. Cut to 1823 and British Officer J.E Alexander discovered this spot with a whole ecosystem thriving around the densely forested crater lake. From a hundred varieties of migratory birds, fowls, chinkaras, gazelles, primates and fourteen types of algae to even flower and fruit-bearing trees. That is not all! The lake bed is home to ancient temples (some of which date back to 10th century) like the Kamalja Devi Temple, which draws the local villagers. Where is it: No one knows the exact location and only some Physics and Saints can cross the barriers to this heaven! This city exists and cannot be traced on any modern mapping system. Place is inhabited with Immortals who rule the world and guard other secrets. Dandakaranya, a spiritually significant region of India, (The other isNaimisharanya) derives its name from the word Dandaka. It is formed by joining the two separate words Dandaka and Aranya according to a rule of Sanskrit grammar. Aranya means a forest or a jungle. But Dandaka denotes many things: a person, a king, a demon, a plant, punishment, and the inhabitants of Dandakaranya. According to the Yuga concept of Hindus, Dharma in Treta age was three-fourth. The story conveys to us that adharma (unrighteous living) has set in and degradation of society begun, though in a small way since Krita yuga had ended and Treta yuga has just started. Danda’s action tells us that rot always starts from the top and then percolates down. Ikshvaku had 100 sons; only 1 out of this 100 was a very bad guy. That means righteousness was the dominant force in Treta yuga. That is why the good king Ikshvaku neither awarded a capital punishment on Danda nor exiled him to a forest. He merely segregated Danda from everyone else in his kingdom- as we do to a patient suffering from a contagious infectious disease- so that the infection does not spread. 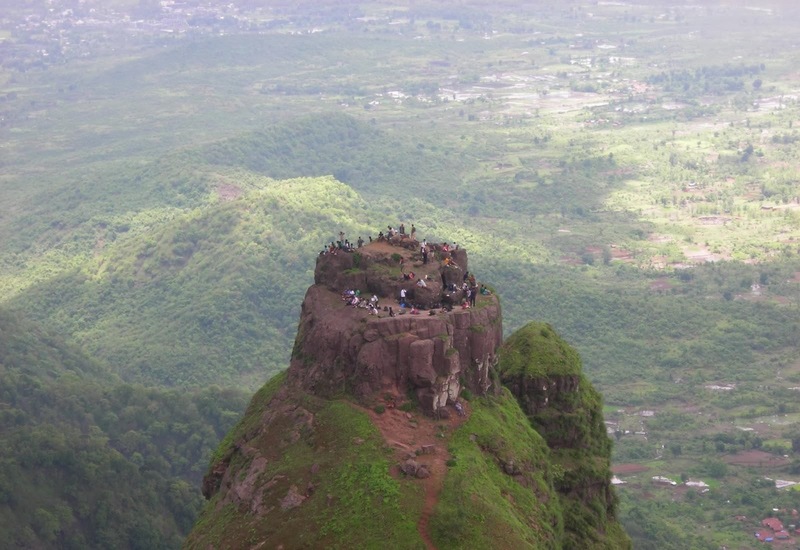 This fort is just opposite to Prabalgad. It is also visible from Mumbai-Pune Expressway. 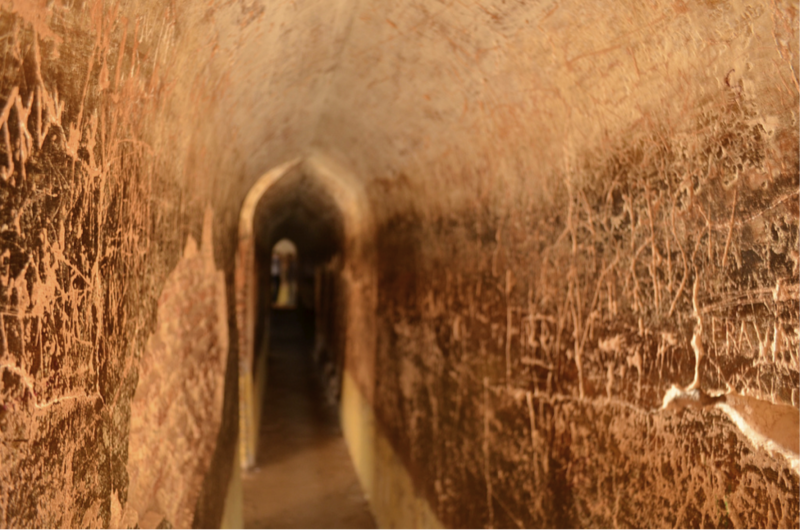 According to stories, the fort was built for a queen named Kalavantin. Steps leading up to the fort have been cut into the rock face of the hill. From the peak of this hill you can see Matheran, Chanderi, Peb, Ershal, and Karnala forts, and also the Mumbai city. The Adivasi People of Machi-Prabal village observe the custom of dancing on every Holi (Shimga) Festival at the top of Kalavantin Fort. These people have a long-standing relationship with this fort and it has become a part of their heritage. This fort was established centuries ago. Climb stairs narrow peaks, steep slopes as challenges for visitors. Longewala Battlefield – Hunters at Dawn . Longewala region is located in the Thar Desert of the Rajasthan and the site of a battle of 1971 between India and Pakistan. Tannot Mata temple is situated very close to the battle site of Longewala and is the last tourist destination in India. 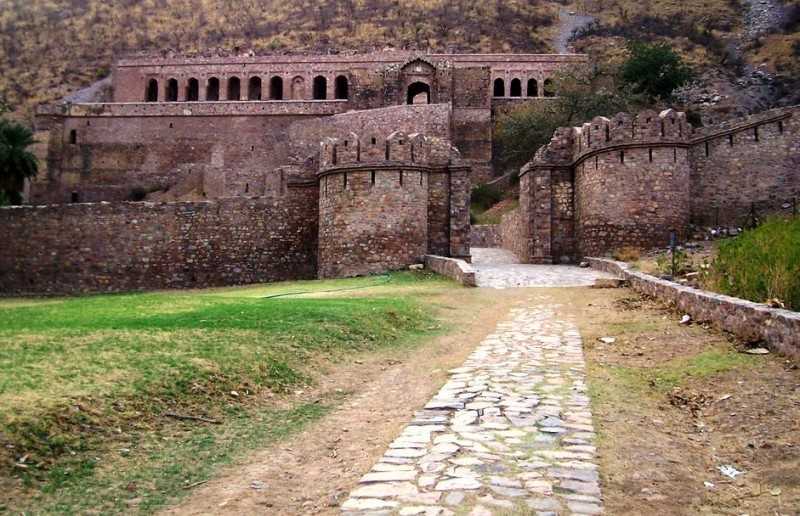 Located at the border of the Sariska Tiger Reserve in the Alwar district of Rajasthan, Bhangarh Fort is a 17th century fort, infamous all over India for being the “Most haunted place in India“. Because of the numerous ghostly experiences and happenings in the fort premises, villages have sprung up far away from the fort, due to the fear of what lies within. Even the Archaeological Survey of India or theASI has forbidden the locals and tourists from entering the fort at night. 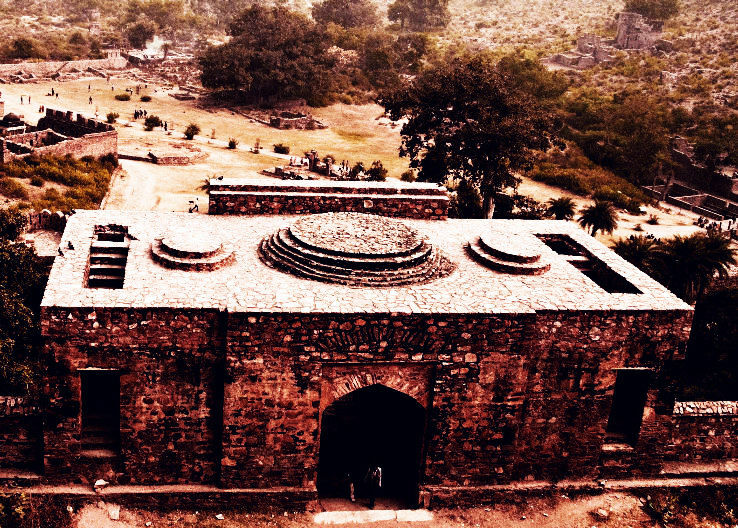 This completely ruined, haunted fort of Bhangarh does have a very eerie, negative aura to it. Several legends have attested to the paranormal happenings inside the fort. India has strong roots of spirituality and religion. 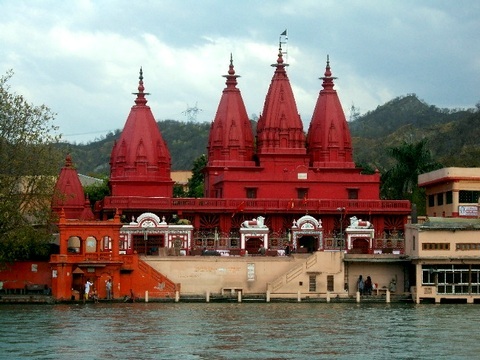 There are various religious and spiritual places to visit in India. The spiritual land of India is home to 64 crore deities. 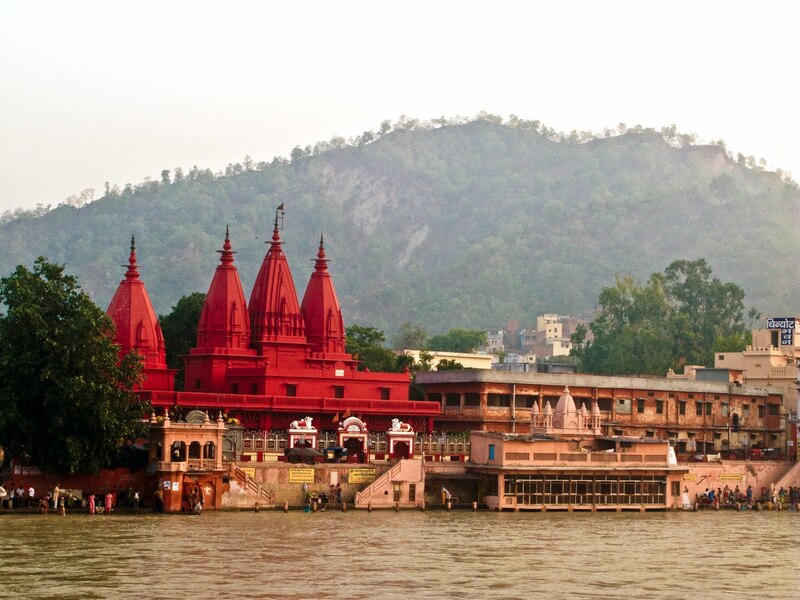 There are seven sacred cities in India namely Mathura, Kashi, Haridwar, Ujjain, Kanchipuram, Ayodhya and Dwarka. The other Holy cities are Rishikesh, Amritsar and Bodhgaya. That makes a total of 10 must see Spiritual destinations in India. Apart from the above mentioned spiritual destinations, there are few strange and most unusual temples in India. Durga ; meaning “the inaccessible”or “the invincible”; durga) is a popular fierce form of the Hindu Goddess or Devi. She is depicted with multiple arms, carrying various weapons and riding a ferocious lion or tiger. She is often pictured as battling or slaying demons, particularly Mahishasura, the buffalo demon. For the Goddess-worshipping Shaktas, Durga is sometimes equated with Mahadevi, the Supreme Goddess. Her triumph as Mahishasura Mardini, Slayer of the buffalo Demon is a central episode of the scripture Devi Mahatmya. Her victory is celebrated annually in the festivals of Navaratri and Durga Puja. 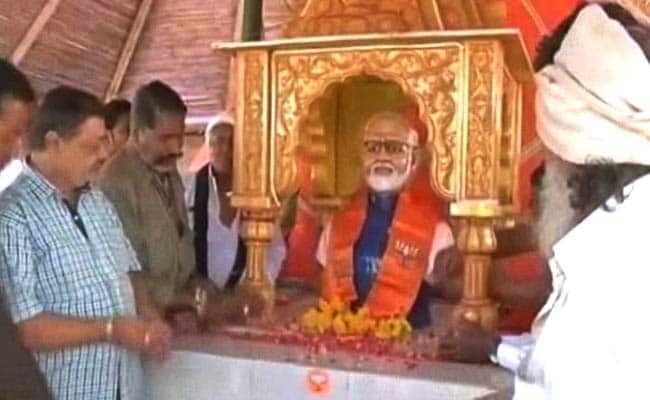 RAJKOT: A temple dedicated to Prime Minister Narendra Modi in Gujarat’s Rajkot village is drawing supporters of the ruling BJP from neighbouring villages also. Ramesh Undhad, who donated funds for temple building, said it took nearly four years to get the Prime Minister’s idol made. “This idol cost us Rs. 1.65 lakh. We tried getting it made from various artists for over three to four years but no one could make an exact copy of Modi. Then finally we called artists from Odisha and they created this idol, which looks exactly like Modi,” said Unhad. 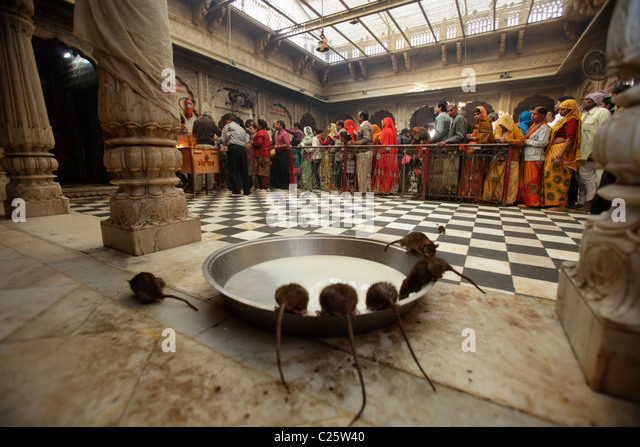 No shoes are allowed in the Karni Mata Temple,at Deshnoke, Rajasthan, India where the skittering claws of one of its numerous rats over bare toes is a blessing. The temple near Bikaner, India, is writhing with rats, with an estimated 20,000 rodents living within its marble-adorned walls. Yet while the initial reaction may be repulsion, or some flashbacks to some of the creepier scenes of Willard, the temple is actually kept quite clean and all of the rats are believed to be humans in a state of reincarnation transition. The story has several versions, but basically Karni Mata asked the death-god Yama to reincarnate someone she cared about, sometimes said to be a stepson, sometimes the son of a family member, and was denied. So instead she dictated that her male descendants, or all male storytellers in another version, could be reincarnated as rats and then, once they live that animal life, reborn into her own family. The temple itself was built in the 1900s, and visitors who want to see the rats at optimum mass are advised to arrive at sunrise or late at night, the latter being potentially more unsettling. The proximity of so many rats together has yet to lead to any reports of rat kings or diseases contractable by humans, so wander freely where the rats are fed on coconut shells, milk, and grains, the remains of which are all considered holy and the sharing of a piece of food snacked upon by a rat is said to bring good fortune. But for the greatest blessing of all, keep an eye out for one of the few albino rats, said to be manifestations of Karni Mata herself and her sons. Located near Chotila Village on the road to Pali from Jodhpur (about 50 kms) in Rajasthan, Om Banasthan, or the Bullet Baba Temple is a shrine dedicated to Om Banaji. Om Banaji was the son of a village leader who had died in a motorcycle accident about twenty years back. 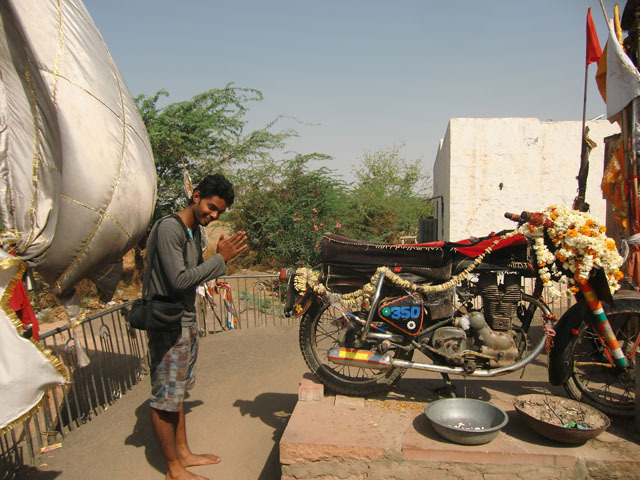 Occurrence of a series of paranormal events after his demise let the local folks to this belief, and they planted the same motorcycle as a deity on this very spot. Bagga Ram, who was his first follower, still regularly plays the harmonium at this shrine ever since it was constructed. 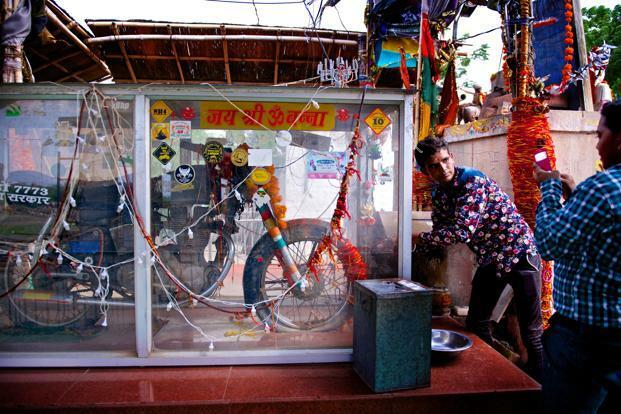 Though, away from habitation, this shrine regularly sees a steady flow of visitors which mostly consist of trucks, buses and cab drivers who offer small prayers and liquor offerings while passing by. The story goes that back in 1991, on a fateful summer night, Om Bana was returning from Pali to his native Chotila on his Bullet 350 when it skidded and hit a tree, killing him on the spot. The tree stands over the battered vehicle till date. Villagers say after Om Bana’s death, the motorbike was taken to a local police station. But next day morning, it was found at the accident spot. Police initially thought it was a prank and after emptying the fuel tank they brought the bike back to the station. However, the motorcycle was again at the accident spot the next day. “As soon as the story spread, people in the nearby village built a platform on the spot where the death occurred and started offering prayers,” said Chotu Singh, a resident of the nearby village. Local people sing folk songs in the name of Om Bana who owned the Royal Enfield. The cause of his death, the tree itself remains ornamented with offerings of bangles, scarves and rope. The temple even has its own priest, Poonam Giri, who has been in charge of the upkeep of the shrine for two decades. 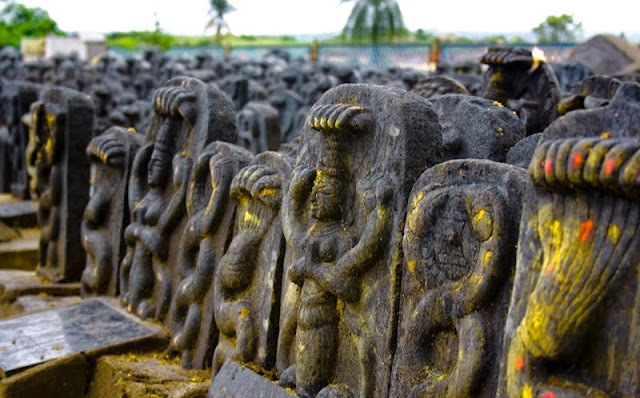 A temple of Kaal Bhairav exists along with that of Lord Shiva in most of the places. Having heard about the uniqueness of this temple, visited this temple to see the offering of Liquor to the God. Lots of stall here sell you both country and foreign liquor to be offered to the God. A plate of liquor is offered and rest is of the bottle is returned. The temple is not mainly meant for Bharatiya, but it is built for Chinese! 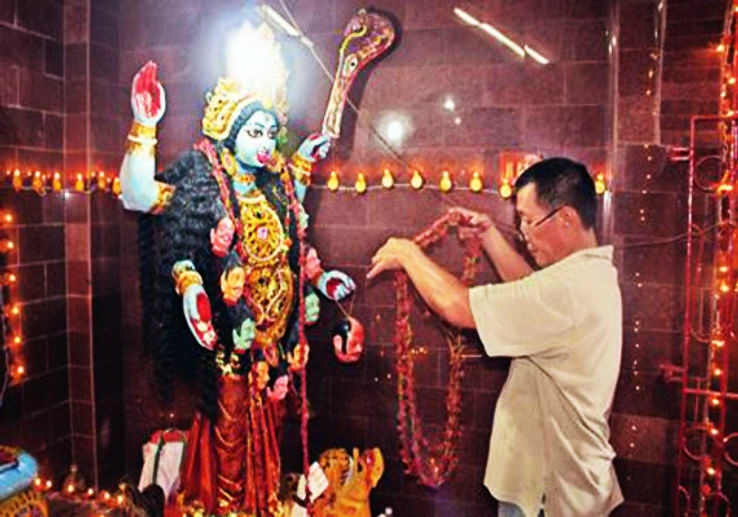 There is a Kali temple in Kolkata which is especially dedicated to Chinese people. In Hinduism, it is believed that Kali is a Goddess who is very angry. But Chinese Kali temple has the story of Mata Kali’s kindness. It was started from Devi’s kindness. This temple is located in Tangra area of Kolkata and this place is popular as India’s China Town. About 63 years ago, there was no such Kali temple in Tangra. Instead, there were some black stones under the shade of a tree. It was a holy place and people used to pray before this sacred grove. “The story goes that a 10-year-old boy of the Chinese community was once very ill. Even doctors could not cure him. His parents had lost hope and lay him down near the tree and prayed for several nights at a stretch. A miracle happened. The boy got well, and the site became special for all of us. Most of us are Buddhists and some are Christians, but we are great fans of the Kali temple. We consider it an integral part of the community,” says Ison. The granite walled temple was built 12 years ago. The two stones are still there. Two traditional Kali statues have since been installed. Every Chinese family in Tangra donated money to build the temple and the idols. What makes more interesting is that the prasad (bhog) offered here are noodles, chopsuey, rice and vegetable dishes. The name itself makes this temple unusual. We can’t find a Chinese Kali temple elsewhere in the world. Visa Temple is in Chilkur Village, Hyderabad. 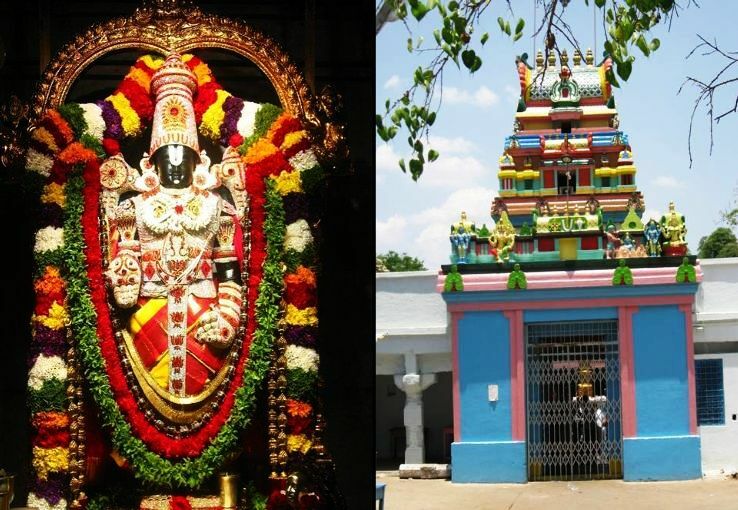 It is a Balaji Temple however also known as visa temple. It is said that a bunch of students from Chennai in the 80’s were facing problems with their US visa. Then they offered prayers and their problems got resolved. Since then people those who want to go abroad and clear their visa interview come here to worship. 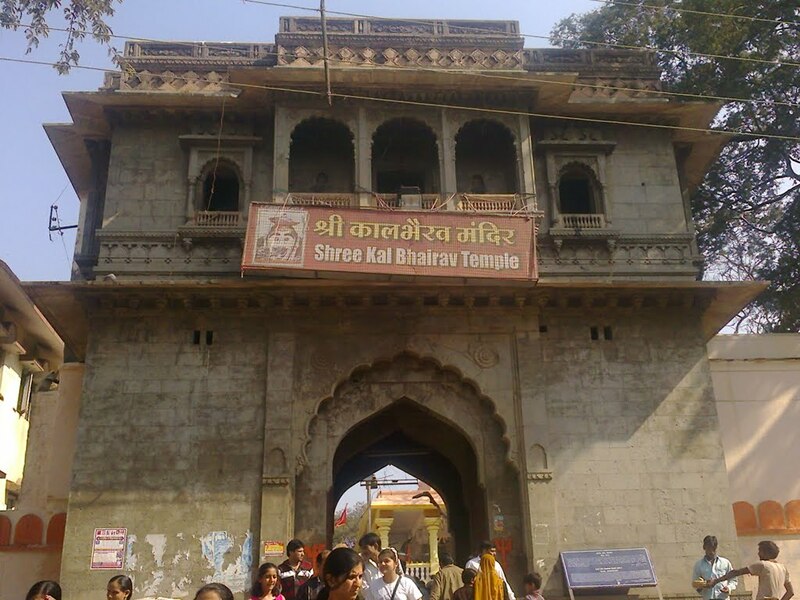 The Kali Singh Temple is situated in Muzaffarnagar district of Uttar Pradesh. Here people come from far off places to offer prayers. It is a temple where cattle, especially cows are worshipped. 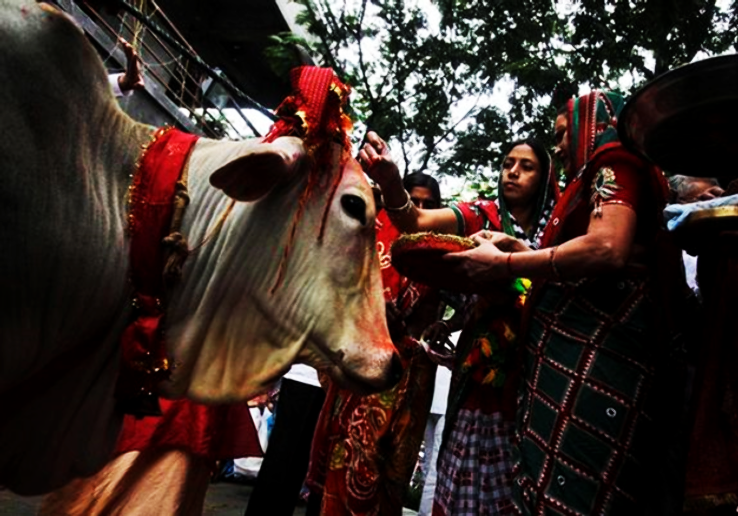 A Kheer is made by women from their cattle inside the temple compound and later it is offered to the deity. 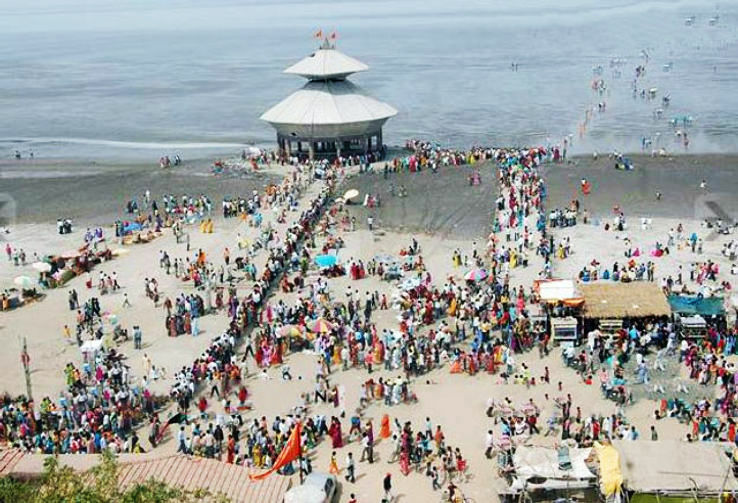 Stambheshwar Mahadev is an ancient Shiva temple situated between Bay of Cambay and the Arabian Sea in Gujarat. It is also known as the disappearing temple. At the time of high tide, for hours the temple totally sinks into the sea and when low tide comes it again starts coming out of the sea. The Open Hand Monument : This Fort is the main attraction of the Kannur town located around 3 km west . Originally built by Don Francisco De Almeida (a Portuguese Admiral). However, the Dutch took away the fort from the Portuguese in the 17th century and sold it to Ali Raja of Kannur later to the Britishers. Currently, St Angelo Fort or Kannur Fort is under the care of ASI. Striking views of the Moppila Bay and Dharmadom Island. natural fishing bay As for the Dhramadom Island, it is just 5 acres in area and is located at a distance of 100 m from the mainland into the Arabian Sea. The Pakistani commanders made several questionable decisions, including a failure of their strategic intelligence to foresee availability of Indian strike aircraft in the Longewala area, exercising operational mobility with little or no route reconnaissance, and conducting a tacticalfrontal assault with no engineer reconnaissance. This led to the Pakistani brigade group being left extremely vulnerable to air attack, vehicles becoming bogged in terrain not suitable for the movement of armoured vehicles as they tried to deploy off a single track, these being more susceptible to enemy fire by using external fuel storage in tactical combat, attempting to execute a night attack over unfamiliar terrain, and infantry being surprised by obstacles to troop movement causing confusion and stalling the attack during the crucial hours of darkness, when the assaulting infantry still had a measure of concealment from Indian small arms and infantry support weapon fire.